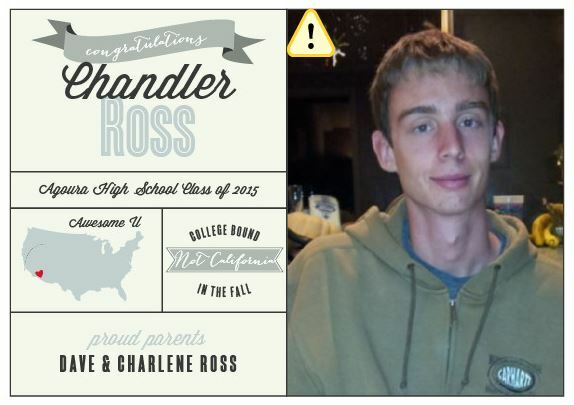 Chandler graduated high school yesterday. In two days I’ll be 50. I feel like I should write something poignant and profound and beautiful and maybe just a little self-deprecating and funny. All week I’ve been waiting for the words to flow out of me – an emotional floodgate burst open. In hopes of finding inspiration I meditate before sitting down to write and try to block out the sounds of the morning. The sprinklers go off – one of our two allotted days to water our lawn in this drought. The birds sing their morning song. The dishwasher chugs and swirls as we forgot to run it last night (again). The hum of the refrigerator, another damn cricket somewhere in this house, and the tick tick tick of the kitchen clock all compete for my attention. Perhaps the words won’t come because these milestones are hard things to face. Chandler put on his robe and mortarboard last night and marched with 550 of his classmates. My eyes filled with tears when I first caught sight of them. I’m proud of him and happy for him and so excited for the new adventures he’s about to face, but of course I wonder if I’ve done enough. Have I given him the skills he needs to be successful in this next phase of his life? My kitchen is not really designed for more than one person to work at once (and maybe I’m just a bit of a control freak), so I never taught him to cook anything but grilled cheese, nachos and poached eggs. Not that he’ll be cooking in his dorm. But still. One day he’ll need to know. At least he does know how to do his own laundry. When you turn 40 you can convince yourself that you probably have more days ahead of you than behind you, but that’s most likely not the case with 50. So the trick is how do I make the most of the days, weeks, months, years I have ahead of me? I still have a lot of time left, sure, but not enough to waste it. I guess I need to tell myself the same things I need to tell Chandler. Eat healthfully (most of the time). You will meet people who find happiness and contentment uninteresting and boring. They are wrong. Don’t compare yourself to others. There will always be someone stronger, faster, smarter, more successful than you. Strive to be the very best YOU you can be. Do not confuse the minutiae of daily life with dullness. Seek out the beauty of the everyday – the smell of ripe peaches in the fruit bowl, the vibrant colors of a summer sunset, a smile from a stranger, the wonder of all those stars in the night sky. Savor every single bite of that bacon cheeseburger. If you love someone tell them. Don’t ignore the sound of the ticking clock. It ticks faster than you think. My firstborn will be graduating high school in a little less than three months and two months after that he’ll be out the door and off to college. (Which in mom-time is even less than the blink of an eye.) He’s got so much to do in that short amount of time and has so many important decisions to make. He needs to decide which college he’ll choose, where he’s going to get a summer job, who he’s going to ask to prom. Of course I have a lot of important decisions to make too. 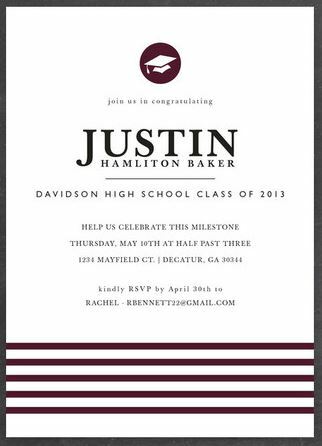 How many people should I invite to his graduation party? What is the proper amount of time to wait before turning his bedroom into my office? What is the best brand of waterproof mascara to wear to this graduation ceremony? 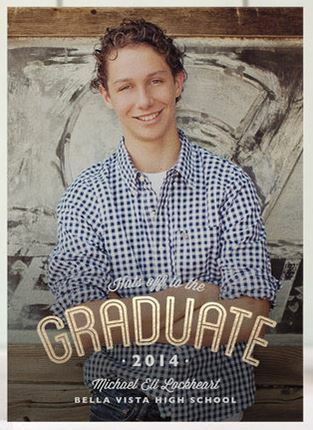 And I have to choose his graduation announcements. They’ve come a long way since I graduated high school. My graduation announcement was a generic “Class of 83” fold-over card that you stuck a smaller card with your name on it into a little slot. They were pretty boring. 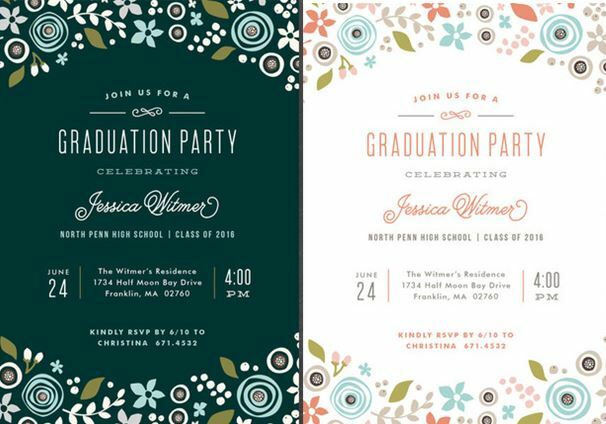 Thanks to minted.com the generic graduation announcement is a thing of the past. 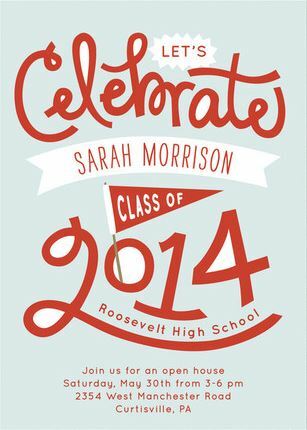 So if you’re looking for a place to find a graduation card that is as unique as your high school senior click here. Whether your looking for an announcement or an invitation, if classic designs are your thing, you can’t go wrong with this card. If you like something more modern showing off your son or daughter’s cute mug you might prefer a card like this. If you’re a braggy type of parent you have a high achiever you might like a card that showcases your graduate’s many accomplishments with a card like this. 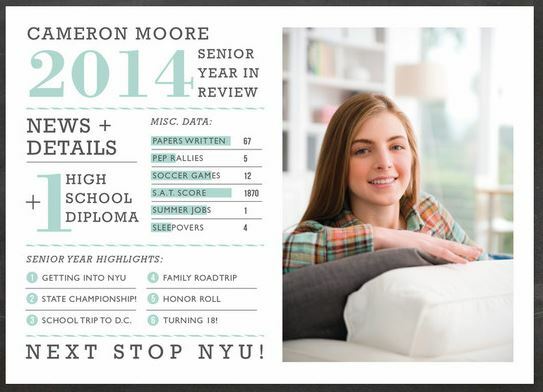 That’s one fantastic senior year! And if you really want to show your faraway family that your kid’s got the goods you can even order an announcement that’s a book! Great for kids with extended families that live far away. Both are so cute! Which one would you choose? So what will I be choosing for my graduate? Hmmm… I don’t know. As the mother of an athlete, I have to admit I really love this card. I especially like the way it looks when I plug Chandler in there. 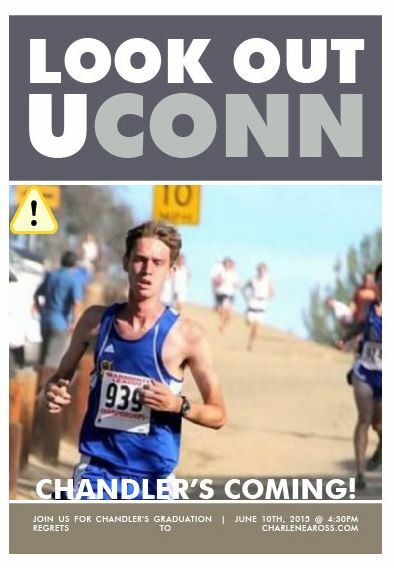 No, Chandler’s not going to UCONN (but maybe after seeing this announcement they’ll want him to)! Did I mention that you can preview your cards before buying them? 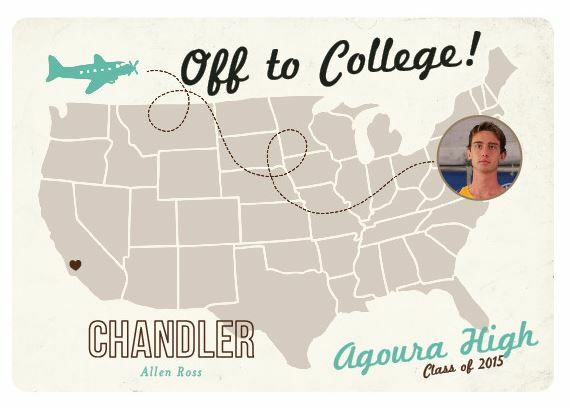 See the little exclamation point on Chandler’s picture above? That’s an alert from minted telling me the picture will not print well due to its low resolution, so I’ll need to choose another photo. 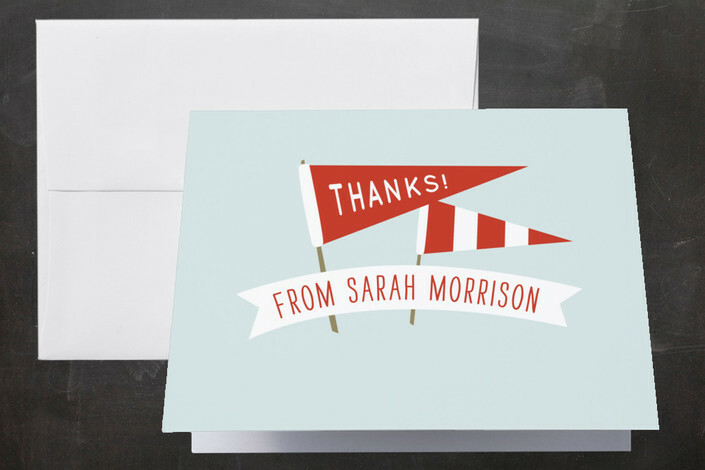 I feel confident that when I place an order with minted it will turn out perfectly. I really like this announcement. But I also really like this one. It’s going to be tough to pick which one I like best. 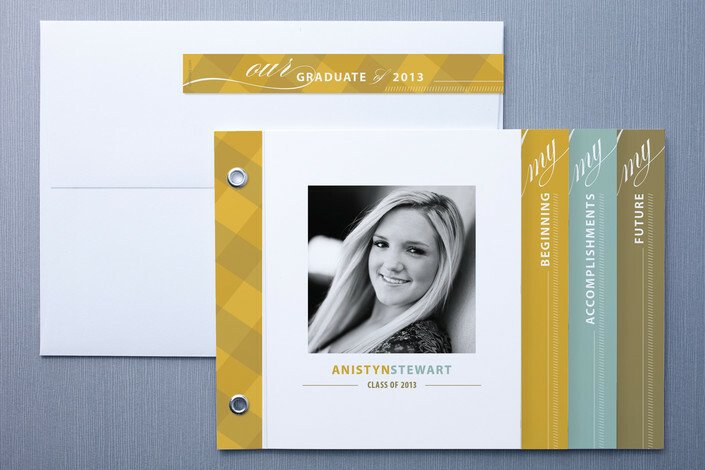 But the good news is, all the cards at minted.com are so great, it’s impossible to go wrong. 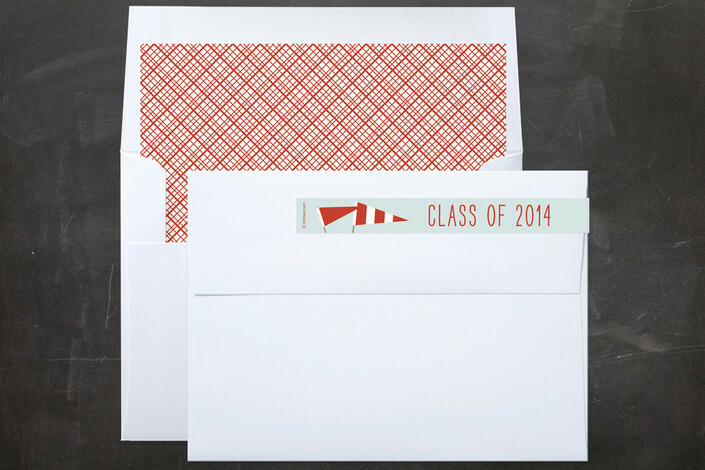 If you haven’t ordered your graduation announcements and invitations yet, I highly suggest you give minted.com a look. It takes about two weeks to get your order with standard shipping, so there’s still time. But you’d better hurry – you know that time will be gone in the blink of an eye!